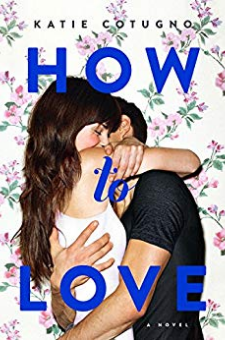 For fans of Sarah Dessen and John Green, this is a breathtaking debut about a couple who fall in love...twice.Before: Reena Montero has loved Sawyer LeGrande for as long as she can remember. But he's never noticed that Reena even exists...until one day, impossibly, he does. Reena and Sawyer fall in messy, complicated love. Then Sawyer disappears without a word, leaving a devastated—and pregnant—Reena behind.After: Almost three years have passed, and there's a new love in Reena's life: her daughter. Reena's gotten used to life without Sawyer, but just as suddenly as he disappeared, he turns up again. Reena wants nothing to do with him, though she'd be lying if she said his being back wasn't stirring something in her.After everything that's happened, can Reena really let herself love Sawyer LeGrande again?